or served on active duty or in a reserve component and was honorably discharged. We provide nursing scholarships in baccalaureate and graduate nursing and nursing anesthesia programs. We fund the annual LTC Isabelle Bagin Memorial Lectureship at the Uniformed Services University of the Health Sciences. We consult with the Army Nurse Corps Historian, assist nurse researchers with nursing-related studies, and document ANC and ANCA history. We publish a quarterly newsletter, The Connection and maintain an on-line, member accessible membership database to facilitate networking and communication among members. We volunteer time, talent and resources in support of ANC and ANCA projects and endeavors. We participate in ANC events and celebrations as well as joint ANCA/community events. 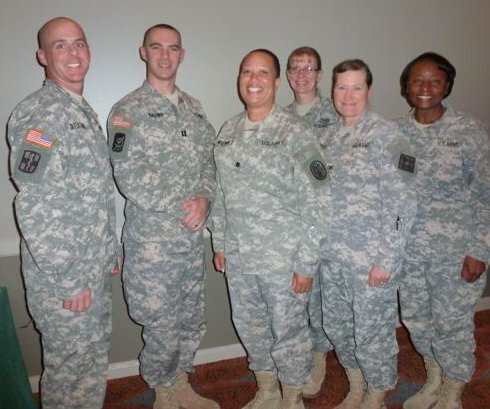 We recognize significant contributions made by Army nurses at company and field grade levels. We contribute to and plan for ANCA’s future. We provide seed grants for nursing research and reimburse fees related to scholarly article publication and professional nursing specialty certification. We Reconnect • Learn • Build at biennial Conventions, where generations come together and fond memories flourish. Just complete the on-line membership application and enter your credit card information on our secure site. Or you can mail us the completed Membership Application Form along with your check. ANCA dues are only a modest $40 for your two-year membership. If you have questions about ANCA membership, Contact Us. For details about ANCA's organization structure, you can review the ANCA Bylaws. Are you a former or current ANCA member? If your membership has lapsed, Just log on using the email address in your record in the ANCA database as username, and your password. If you don't know your password, click the Reset Password link on the logon page. If you need any help with re-joining, let us know via the Contact Us page, Department Routing: Membership. If you are a current member, we send a reminder a month or two before the expiration date of your membership with instructions on how to renew. If you missed it or would like to go ahead and renew now, just go to your membership record by logging on, then click Renew on the dropdown menu under the MEMBERSHIP tab. If you don't know your password, click the Reset Password link on the logon page. 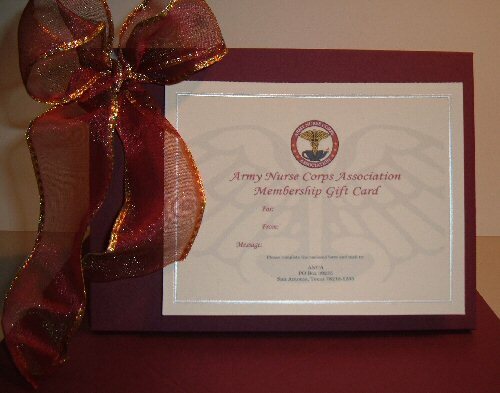 Your gift of a membership in the Army Nurse Corps Association would be of long-lasting value to a young ANC officer or an older former Army Nurse who "can no longer afford it," or in honor of an Army Nurse's birthday, promotion, retirement, or special occasion. ANCA will make the gift very memorable by sending it along with a certificate with your personalized message to the recipient. It's easy! Just fill out the Gift Membership Form and mail it along with your check.